Should I let the dough rise before putting it in the fridge? I usually use bread flour when baking bread in loaves. 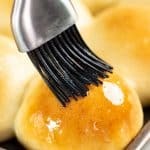 Can I use bread flour for rolls? Will it make much difference? Yes, you can use bread flour to make these. Hi. 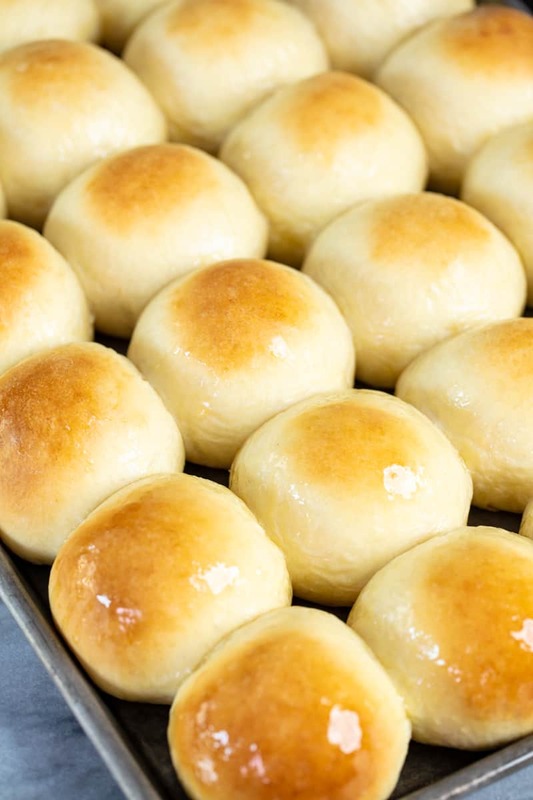 I’m going to make these rolls as they sound delicious. Can I use “quick-rise” instant yeast and omit the first rise? Will they be the same? Quick rise instant yeast is the same thing as instant dry yeast which is the yeast called for in the recipe. Is it okay to leave recipes with egg in them sitting out for this long while the dough rises? I’ve heard that you shouldn’t leave recipes with egg in them sitting at room temperature for more than 2 hours max. Hi Rachel, I made the dinner rolls and they are absolutely delicious just like your recipe says. Thank you for posting. These are The Best, everyone agreed . I made these exactly as your recipe states, Thank You for sharing. Thanks Rachel for sharing this. Tried it and loved it. Made 24rolls as you said, and my grandchildren helped. So easy and per fact measurement. So so easy. I will try cinnamon roll next. Hi!!! I made the dinner rolls for the first time and it was almost perfect!!!! It was so soft and yummy!!! I just can’t make them round enough. The shape was somewhat uneven. Will definitely make again and again. Thank you so much for sharing Ms. Rachel!! I thought you had a bread machine recipe for this posted on your site? Do you have this recipe for a bread machine? A bread machine can be used to make this recipe by using it as a mixer. Bread machines can’t shape into rolls so just remove it after mixing to rise. do you have this recipe that is listed without being metric? Yes, that is what is listed above. The metric measurements are included in the notes section. 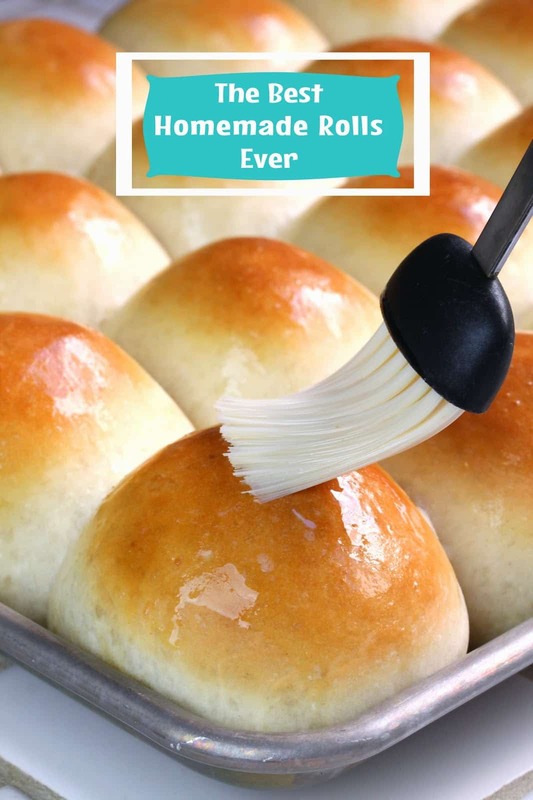 I want to make these rolls, they sound delicious! However, I don’t know how to “translate” grams into cups, teaspoons, tablespoons, etc. The recipe is written in cup measurements. The metric measurements are included in the note section.